Reducing plastic usage is a challenging task in today’s everything-plastic society. We all understand the importance of reducing petroleum-based emissions and the post-use waste that never really goes away, but implementing practices in your home can seem overwhelming. It’s even worse when only one member of the family is working towards the goal. The good news is that kids are very open to making a bit of extra effort if they understand that it is good for the environment and the animals in it, including us. The key is to make lessons applicable to their daily life and make goals incremental and therefore, attainable. Here’s a list of ways you can get the entire family involved in reducing your plastic consumption without tears or arguments. One of the best ways to reduce plastic in your home is to keep it from coming into the home in the first place. The grocery store can be a full-blown battle when it comes to buying products packaged in plastic. From the wrap on produce to the containers your favorite sour cream comes in, you will need all the ideas from your family members to get the job done. Heading to the store together gives you a chance to challenge and educate each other. Instead of reaching for the apples in the plastic bag, get the ones piled in a paper bag, use a compostable bag, or bring your own produce bag to the store. If you have a few bathrooms, buy shampoo in bulk and divide it up instead of buying separate plastic shampoo bottles. Let the kids choose their own stainless steel or glass shampoo containers they want for bathtime. These are just a few example of the thousands of plastic products at the grocery store you can avoid with a concerted effort. It feels good to give gifts to friends and family members, but it doesn’t feel good to contribute to plastic waste, so this is another opportunity to skirt the plastic options. Let your kids help make layered gifts in a jar with ingredients for soup or cookies, with no waste. Choose wooden toys over plastic, buy books and give the gift of experiences. Also pay attention to the types of wrapping you use, staying away from plastic bags and products packaged with plastic. When your child comes to you to brainstorm ideas for a school project, think plastic elimination. For example, if the topic is controversial political differences, have them write about the ban on plastic bags. This gives them the opportunity to better educate themselves, and others, on the topic. Every family becomes motivated by a sibling-to-sibling or parent versus child challenges. 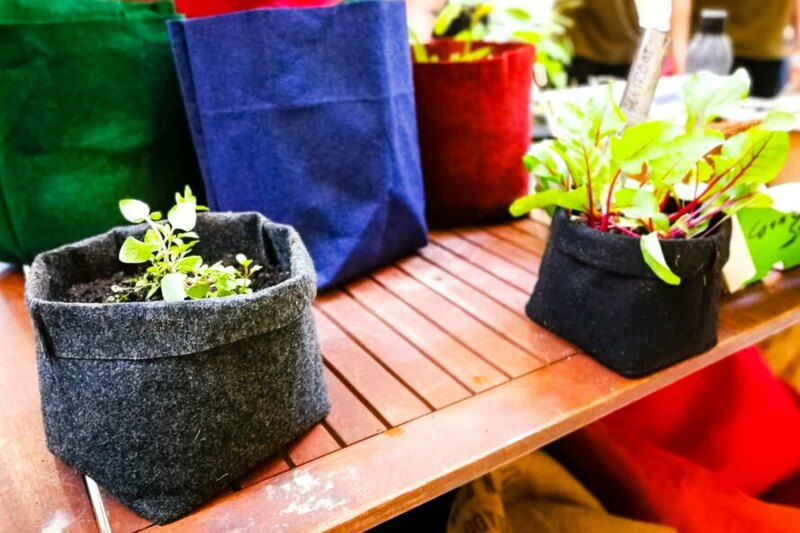 Eliminating plastic from the home is no exception so come up with a great reward (plastic free of course) and set up the boundaries of the challenge. Give every person or team a recycling bin. You could mandate that everyone drop all plastic waste into the tote and the team at the end of the week or month with the least amount of plastic waste wins. Alternately, drop items in when you find a way to replace it with a plastic free option, such as making your own yogurt, which eliminates the need for yogurt containers from the store. The person or team with the most plastic wins! Refusing to buy and use single-use plastic is a personal choice, but as a family you can choose to ban those products from your home. Eliminate single-use straws, plastic water bottles, multi-purpose cleaner spray bottles and a thousand other things. 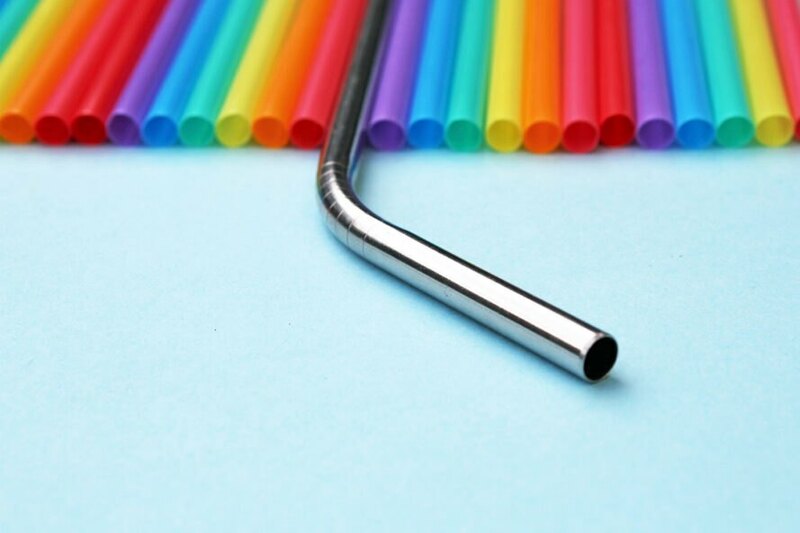 Replace them by making your own products (laundry detergent, dishwasher detergent, fabric softener or even bubble bath), using reusable straws and water bottles and bringing your own containers to the bulk section for refills. When the conversation gets started, you might be surprised at what ideas your crew comes up with. Make it easy to record those ideas by making an idea jar. This can be as simple as a large mason jar with a ribbon around the top or a label on the front. Set aside a specific time to read the suggestions and vow to incorporate one idea each week, or whatever works for your family. Remember the goal is progress, not perfection. When you announce your next family day trip or longer vacation, brainstorm ways to make it plastic free. Obviously you’ll skip the store-bought water bottles in favor of refillable ones, but what about other items you’ll need? For example, source a metal bucket and shovel for a trip to the beach instead of taking plastic varieties. While you’re unlikely to be 100 percent successful at eliminating plastic from your home, recycling is an option for many items that at least keeps it out of the landfill. Figuring out what can be recycled can be very confusing. Every facility is different in the types of plastic they accept. So, get together as a family and take a tour of a recycling plant or attend a local lecture to better understand the process. Having that kind of visual education will resonate as you make purchasing decisions. Lunch time can be a wasteful venture with disposable silverware, sandwich bags, and drink containers. Instead, skip the Gatorade and flavor water in your reusable bottle with powdered crystals instead. Ditch the sandwich bags in favor of glass or stainless steel containers. Bring real silverware or track down a bamboo set that travels with you. Being involved in community events is always a great family activity and when the event targets beach or city clean-ups the rewards go well past the single day. Understanding the damage that plastic brings to sea life or the local park gives the entire family motivation to cut it out. Sell the car. Almost the whole interior is made from oil and a lot of it is plastic. Encourage your family to participate in green activities. 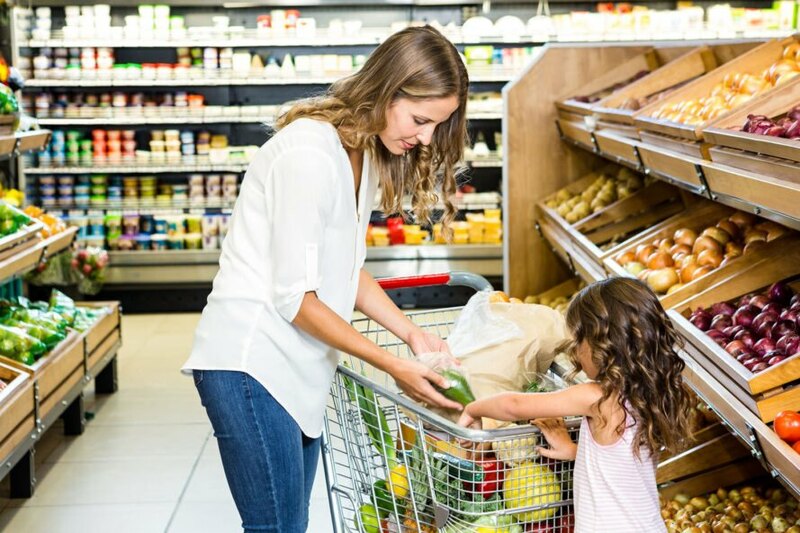 Go as a group to the grocery store to experience what non-plastic shopping is all about. Encourage kids to try their hand at plastic-free school projects. Lunches can be a hassle, but opt to use reusable straws and water bottles. 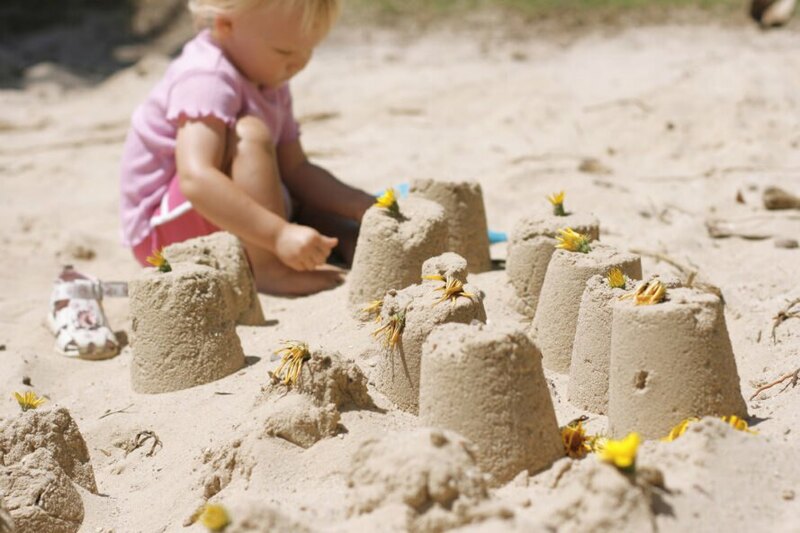 Plan a family vacation at the beach with reusable toys. 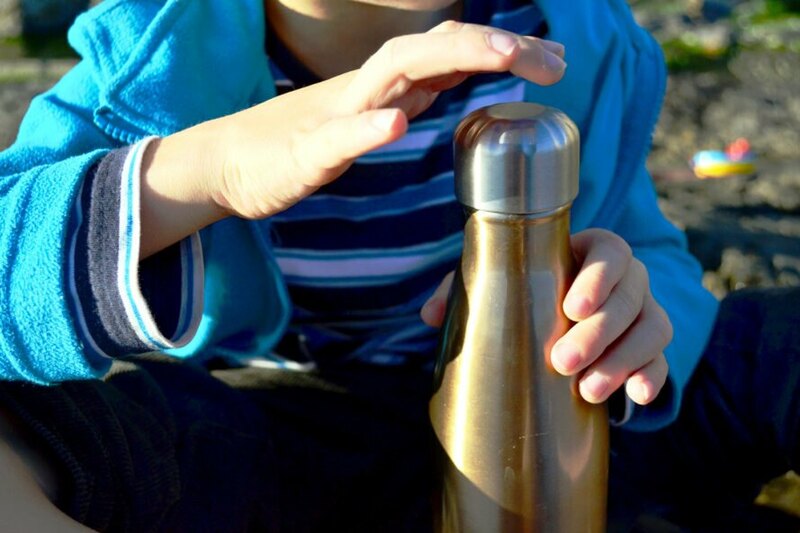 Send the kids to school with a reusable water bottle they can refill.